European cobblestones have withstood centuries of hoof beats and carriage wheels, and they’re still going strong. The stones, set in place 100 to 400 years ago, once formed transportation networks, but have since been paved over with asphalt. When European construction workers build a new avenue or install a sewer line, they invariably dig up old cobbles. 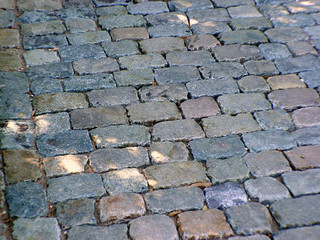 Reclaimed cobblestones can be used to make beautiful and exceptionally hardy driveways and garden walkways to complement modern French Country, Spanish Colonial, and Tuscan-style homes. “This type of driveway lasts forever,” said Anthony Van Liefde, who worked as a stone mason for over 40 years and now travels to Italy, France, and other parts of Europe to collect cobblestones for Monarch Stone International in San Clemente, which he owns along with Lisa Van Liefde. 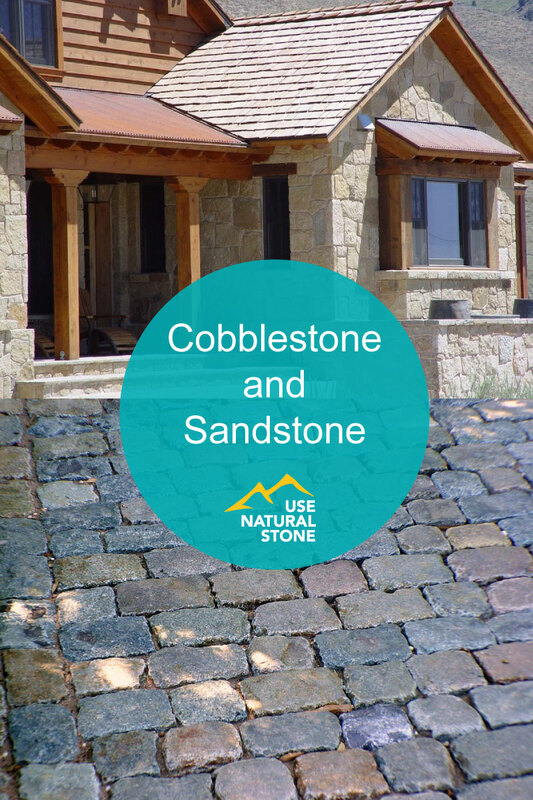 If it’s installed properly, a cobblestone drive will last hundreds of years. Cobblestones have a unique beauty. 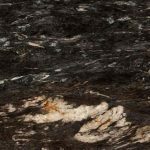 Some are granite, ranging in color from dark gray to gray-green or gray-blue. 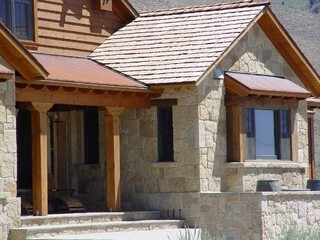 Others are sandstone, which oxidizes to form a warm, earth-toned patina. Sandstone cobbles have a flatter surface, and are sometimes used as flooring for rustic interiors or wine cellars. Traditionally, cobblestones were set in sand, with their narrower ends firmly entrenched at the base and their wider tops nearly touching, with just a little sand between them. No mortar was used. Many people still install them the traditional way, though others attach them to a concrete base and grout the joints with mortar. 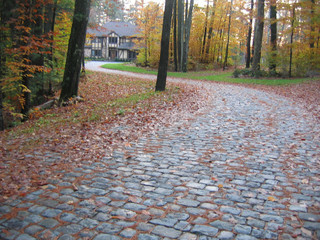 Architects and landscape designers appreciate cobblestones for their visual versatility. Not only is there a wide color palette, but the stones were made in a variety of square and rectangular shapes, ranging in size from three to seven inches long, with a normal height of five or six inches (if set in concrete, they can be sawn a couple of inches shorter). Old curb stones are more massive, from 16 to 18 inches high, with varying lengths. 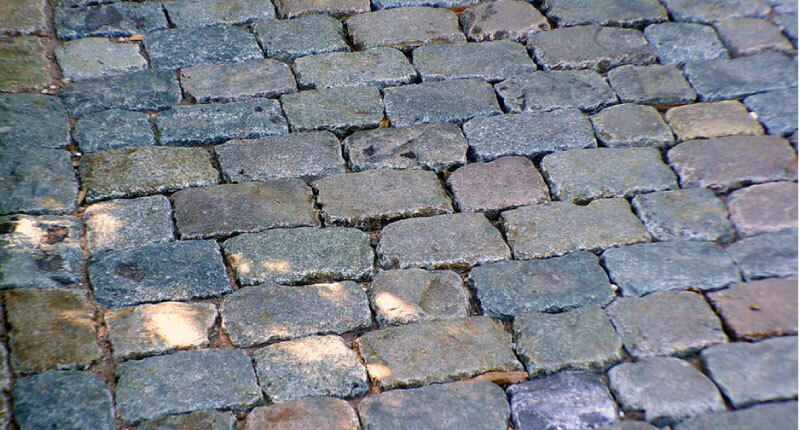 Cobblestones were used not only in Europe, but in early America, where they were originally brought over on ships as ballast, and later were sourced locally. Because most American roads were built using macadam, tarmac, or asphalt, it is easier to find the stones in Europe. While using European cobblestone conjures up images of the liveried coachmen and gilded carriages of a distant era, using local stone provides a link to a geological history closer to home. 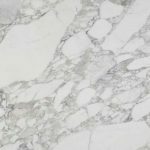 For Anthony, the local stone of choice is Santa Barbara sandstone, which he fell in love with as a young man when he vacationed in the area. Though these stones are not reclaimed, the material has an illustrious past—it was used to build the Santa Barbara Mission and many other historic buildings in the area. Like cobblestone, Santa Barbara sandstone is not quarried, but excavated—in this case, from building sites, where boulders that tumbled from the surrounding Santa Ynez mountains centuries ago lie nestled in the soil. “In the old days, they cleared the land and used what God left there to build. Here, that’s still true,” Lisa said. Masonry crews excavate the boulders, hand-split them, and shape them into blocks using hammers and chisels, just as they did 200 years ago. “It’s an art you don’t often see today,” Lisa said. The rocks range in color from cream to yellow and golden brown. The most popular shade is called Montecito Gold. Builders like the chisel-friendly material, which is used not only for building facades, but for carvings, veneers, stair treads, wall caps, and windowsills. 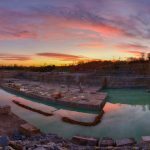 “It’s made in heaven for stone cutters,” Anthony said. Some builders plane the stone for a smooth surface, while others prefer to preserve its rough-hewn edges. Area architects seek out the stone in part because it’s sourced locally, which means it’s readily available and gets delivered faster. 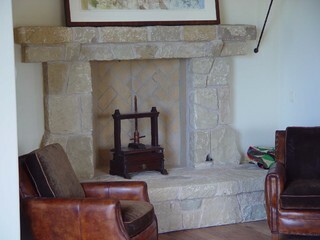 Using local stone also gives them points towards LEED certification. Reclaimed cobblestones and locally-sourced stone put homeowners in touch with materials and building methods of the past. In a world filled with asphalt and concrete, they are a visual and tactile reminder of earlier days, when we were more closely connected to the earth.